The Temple of Olympian Zeus, Athens. 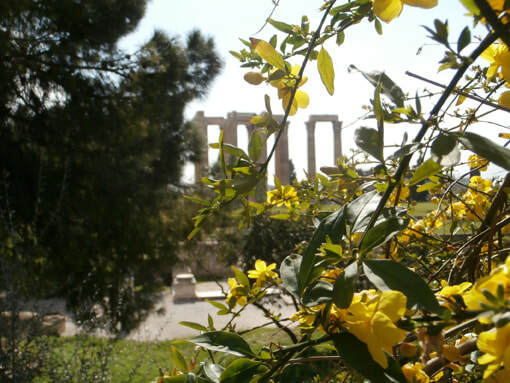 There are quite a few archaeological sites, most concentrated in one area such as around the Acropolis, others scattered throughout the city of Athens, that testify to the long and important presence of the city throughout the history of Greece. 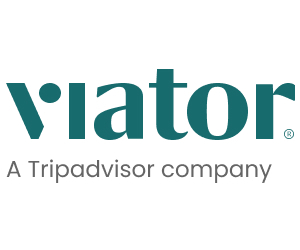 ​The Acropolis may be the most significant monument of the western world, but the visitor of Athens should also make a point of visiting the Temple of the Olympian Zeus, the Temple of Hephaestos, the markets of the Ancient and the Roman Agora, the Stoa of Attalos, Hadrian's Arch and Library, but also The Tower of the Winds which is considered to be the oldest known meteorological center of the world, the Herodeon odeon and theater, or even follow the footsteps of St. Paul the Apostle along Apostolou Pavlou pedestrian Street. 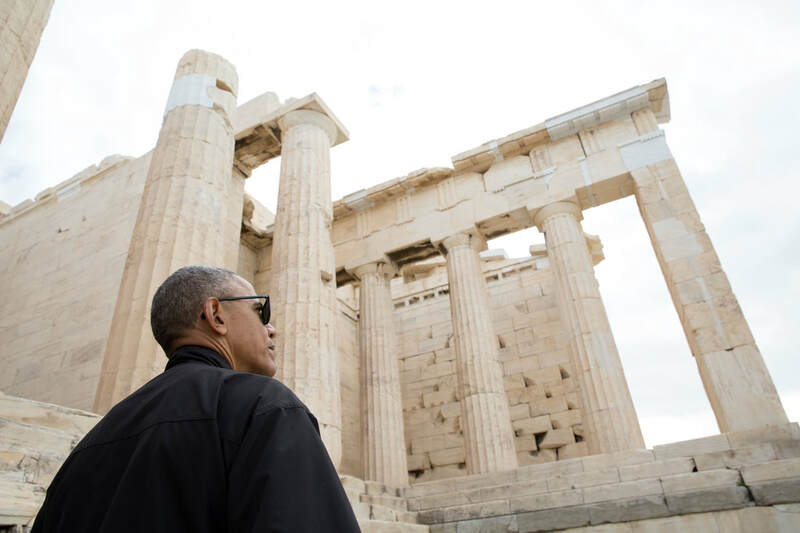 Former US President Obama takes a tour of the Acropolis in 2016 (Official White House Photo by Pete Souza).